Pope Francis will meet the president and vice-president of the US bishops’ conference at the Vatican tomorrow to discuss the clergy sexual abuse scandal and revelation of allegations against ex-cardinal Theodore McCarrick. Source: NCR Online. 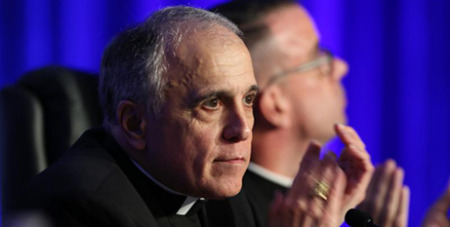 In a statement yesterday, the Vatican press office said Galveston-Houston Cardinal Daniel DiNardo, president, and Los Angeles Archbishop Jose Gomez, vice-president, would be joined in the meeting by Boston Cardinal Sean O’Malley, who heads Francis’ advisory commission on clergy abuse. While the Vatican’s statement did not give a reason for the meeting, Cardinal DiNardo announced last month that he planned to travel to Rome to detail the US bishops’ plans to confront the abuse crisis. The announcement sets the stage for a kind of high-profile encounter not seen since April 2002, when eight US cardinals were summoned to Rome to discuss revelations of abuse with Pope John Paul II. Cardinal DiNardo first requested the encounter with the Pope after the August 14 release of a grand jury report in Pennsylvania that revealed that more than 300 priests had been accused of committing sexual assault in six dioceses in the state over seven decades. Release of that report came shortly after the now Archbishop McCarrick renounced his place in the College of Cardinals in the wake of revelations that he sexually harassed or abused several young men during his rise to become one of the Church in America’s most senior prelates. In his August 16 statement, Cardinal DiNardo said he would be inviting the Vatican to conduct an apostolic visitation, or investigation, of how then Cardinal McCarrick’s abuse had not been reported earlier.